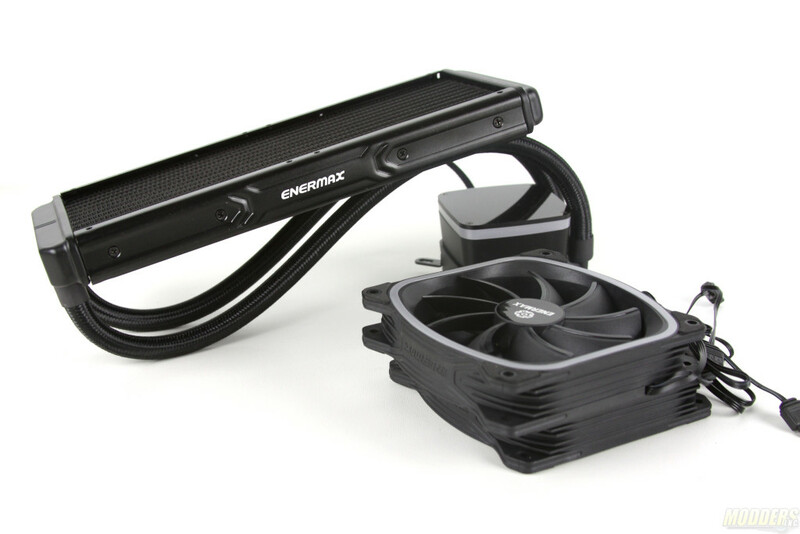 As I have mentioned AquaFusion comes in two versions, with 120mm Radiator and 240mm Radiator. 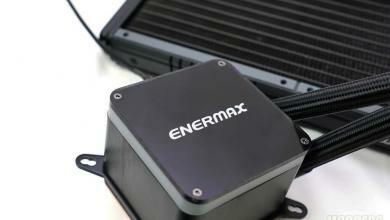 Both of the radiators come with ENERMAX SquA RGB Fans. The version I am going to be looking at is the AquaFusion 240. 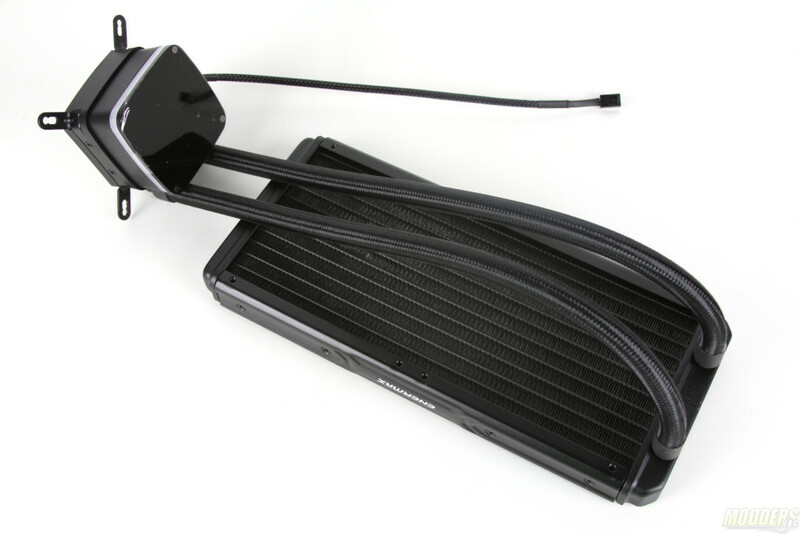 Radiator hoses are about 16 inches long or 40cm so the optimal mounting of the radiator should be in very close proximity to the CPU. The hoses are rubber and they are sleeved/weaved in a plastic based wrap. 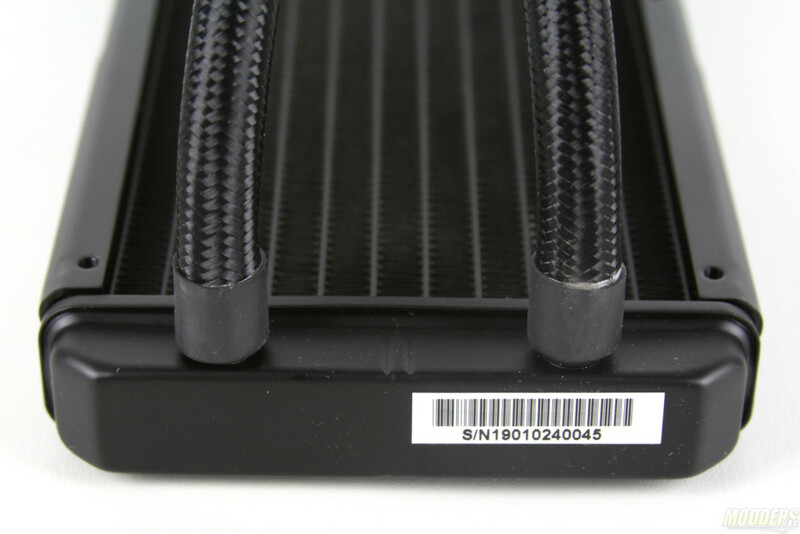 This particular sleeving makes hoses a bit tough to work with but once you install this in your case there is no need to worry about them moving or hitting fans. There is no quick disconnect on the hoses either at the radiator or the pump. 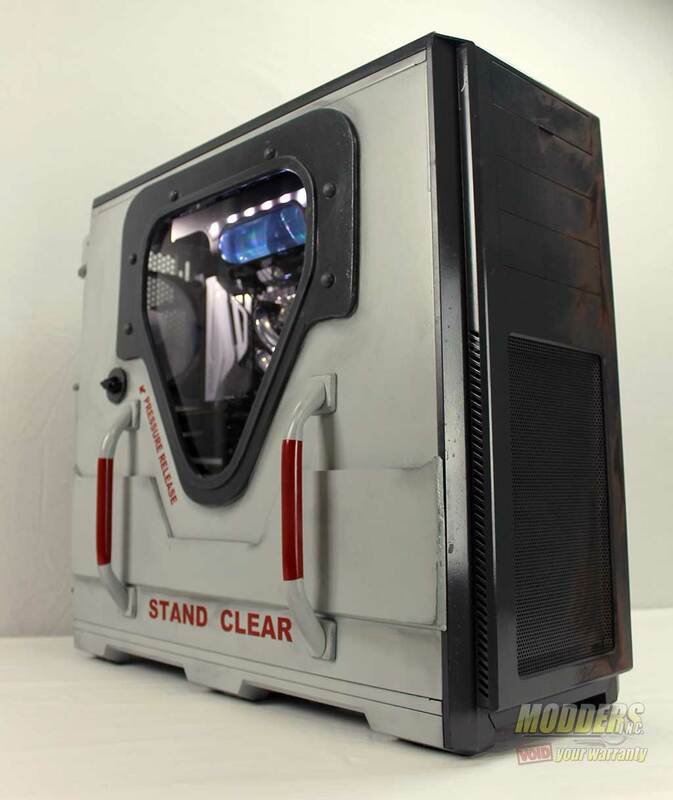 The radiator is 27mm thick so if you have tight ATX case this setup would work really well. 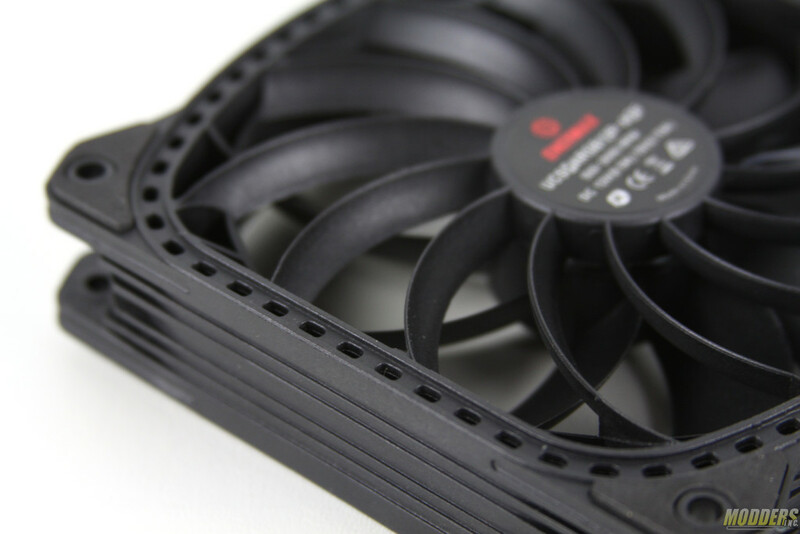 The entire height of the Radiator+Fans is about 53mm thick. 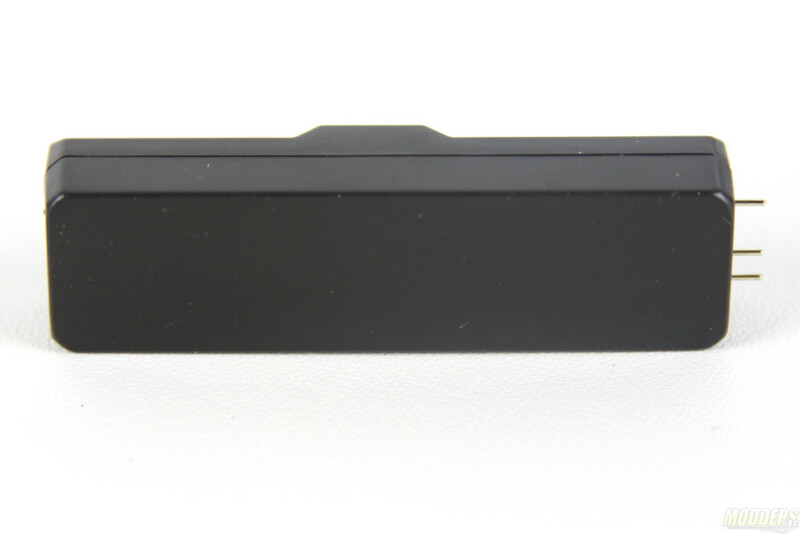 Fins Per Inch in this model and the 120mm model is 20. 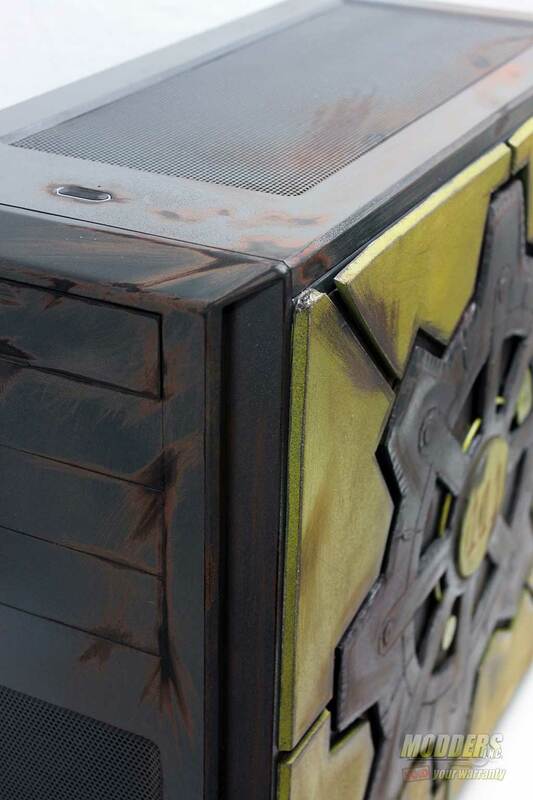 There are two logos which I found to be visible in this AIO unit. One logo is on the side of the radiator and one on the pump itself. 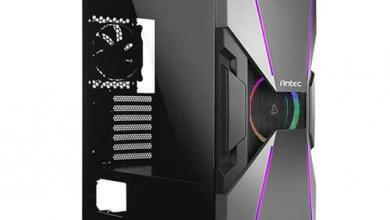 The one that is on the pump is RGB Sync ready. 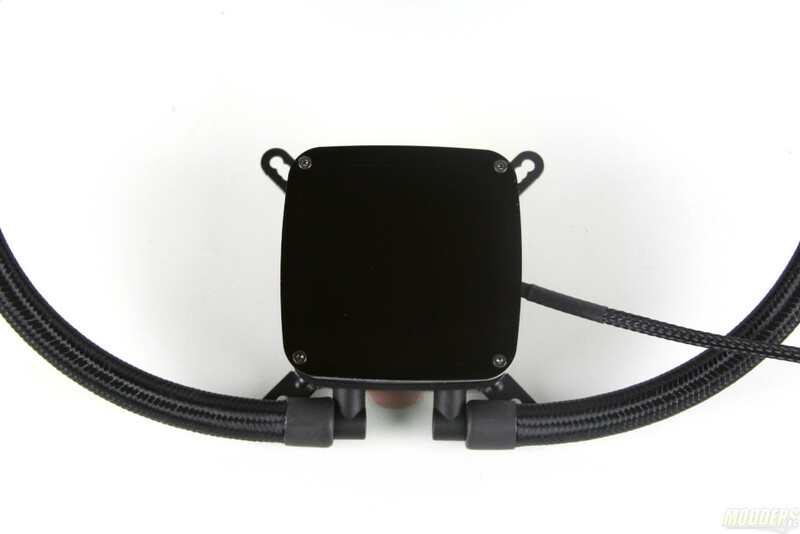 Top of the CPU block/pump is a thick Glossy acrylic plastic cover. There are four screws on the top. This is a maintenance free unit so there is no need for you to try to pry it open. 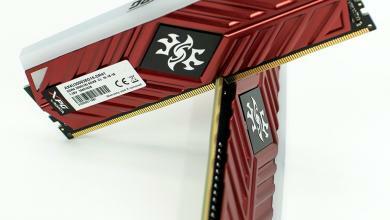 The pump is powered by the motherboard so you need to have it plugged in order for the liquid to flow and cool your CPU. 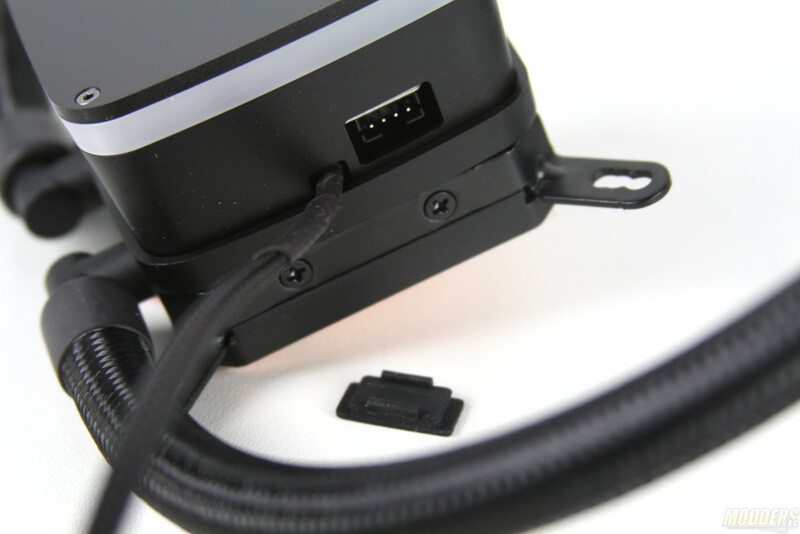 On the side of the pump is a small RGB Sync 4 pin connector which is used to connect to the motherboard or the enclosed RGB controller. 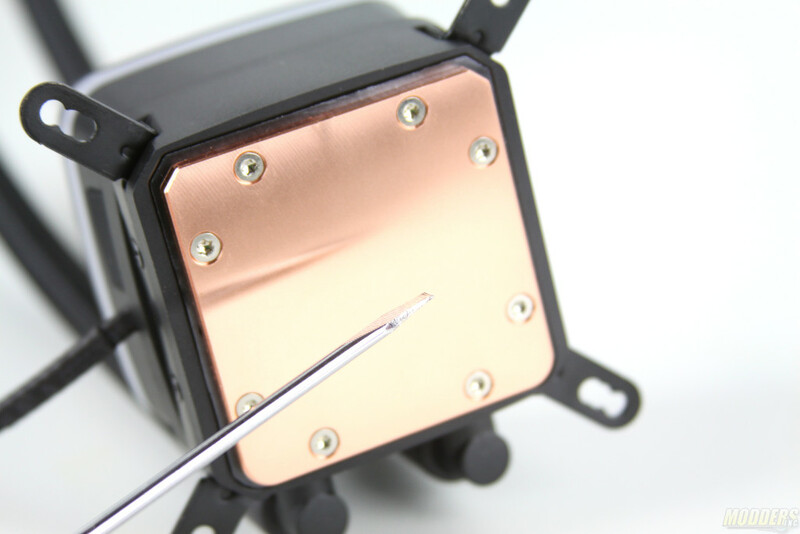 On the bottom of the pump is the Copper CPU block. As you can see from the picture the surface of the block is not entirely reflective. 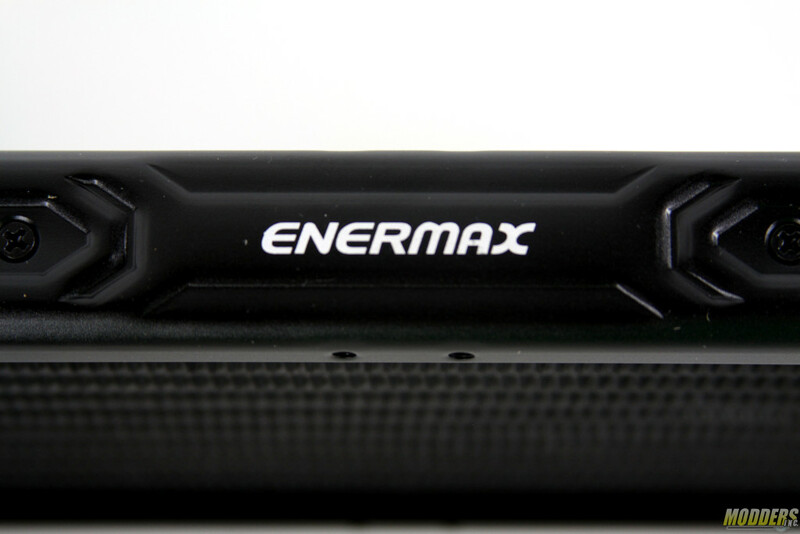 Inside of the CPU block Enermax uses Shunt Channel Technology a cold plate design to provide a quicker cooling of the CPU when the temperatures suddenly spike up. With SCT the heat transfer is accelerated resulting in faster and continuous cooling of the plate. 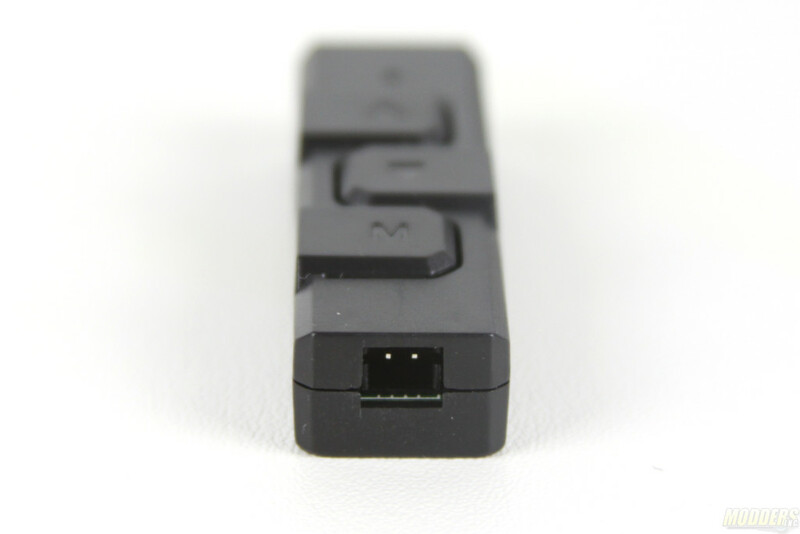 You can read more on the technology here. 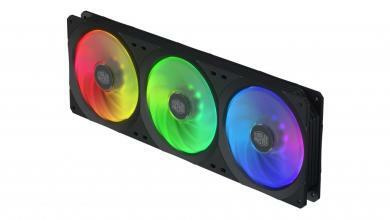 Fans which are used in AquaFusion 240 are ENERMAX SquA RGB. 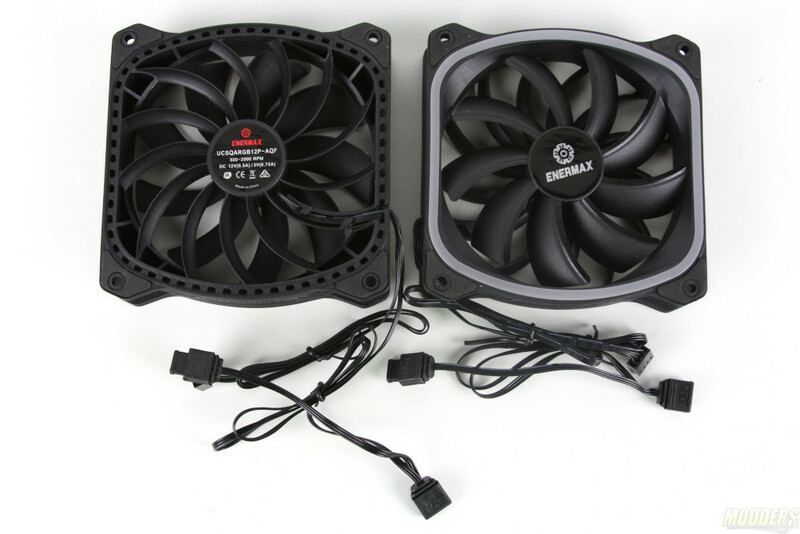 These square based RGB fans use vortex frame which results in centered air with high static pressure (0.67~3.6mm-H2O) These fans have static reverse blade design which works great with fans that spin slower than 2000RPM. 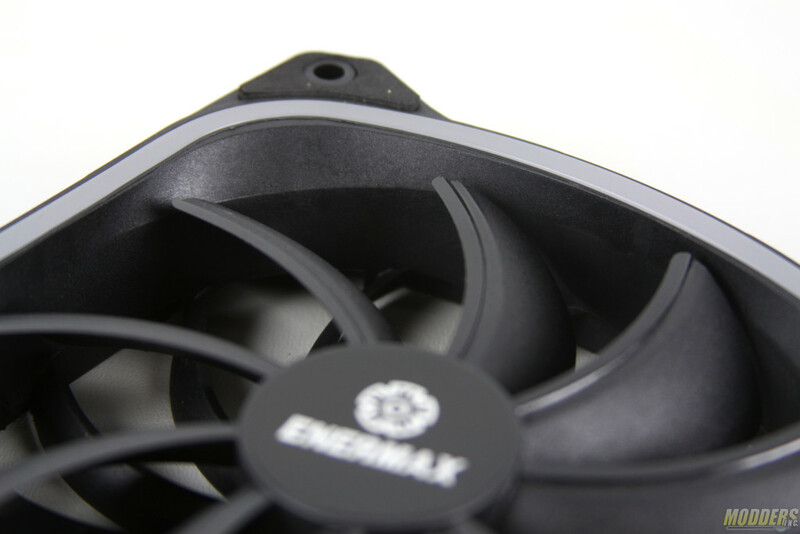 The RGB component of the fans si a small strip that runs around the fan so that only the outline of the fan is RGB and not the entire fan. 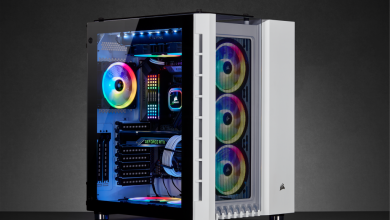 Standalone RGB Controller box that comes with AquaFusion 240 is no bigger than a pack of Juicy Fruit gum. 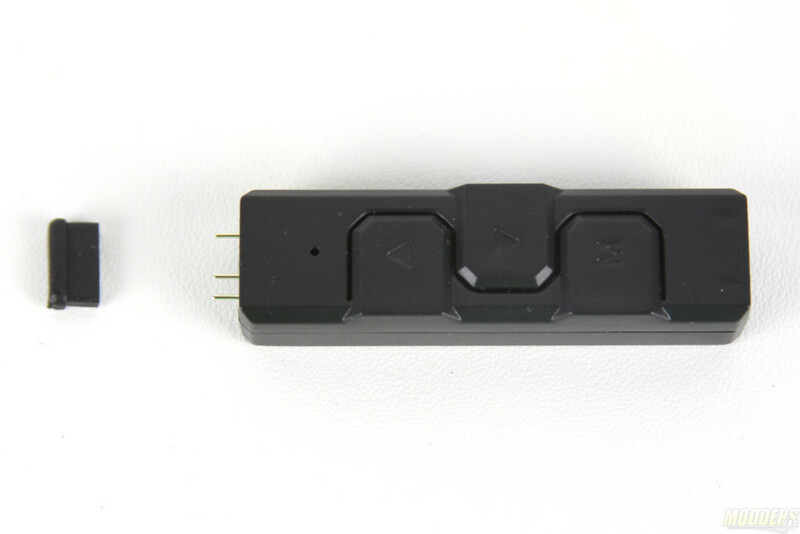 One end of the controller is dedicated to 5V power and the other end is dedicated for connection with the RGB enabled devices such as Fans and Pump. There are ten pre-set lightning modes which speed also could be adjusted.